after messaging the seller everyday for about 5 days, my boots turned up on my doorstep. 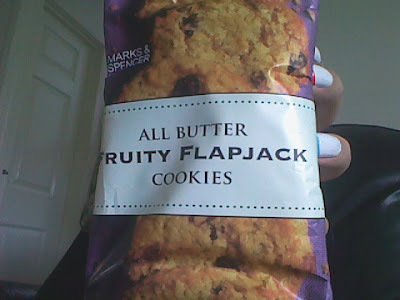 i was so pleased especially as i thought it was going to end up like last time. this thing is watching me on the side of the chair while i type. 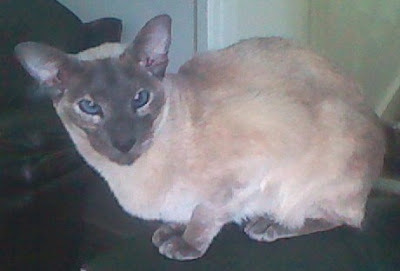 she’s called chloe and she’s a blue-tortie point siamese. 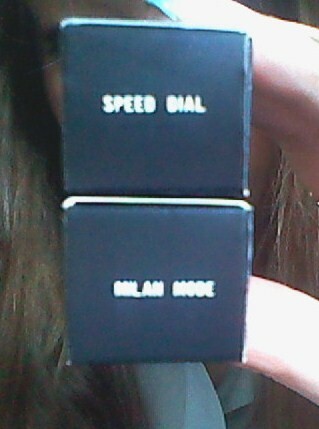 bought milan mode and speed dial (the last one) at MAC yesterday. 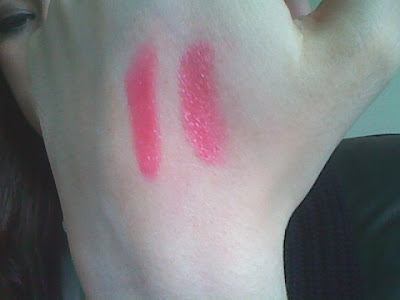 they look quite similar on the photo but they’re really different. milan mode is purple tone and the other is a mid-tone pink. 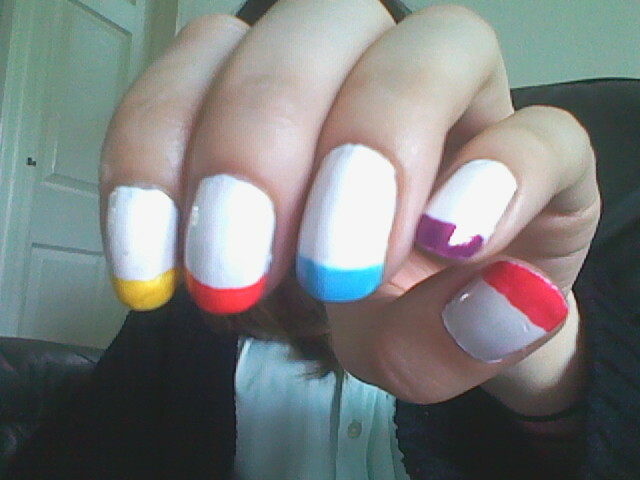 my thumb is actually pink and the middle finger is bight red/orange colour. today, i saw my boyfriend and when he left i watched a few episodes of ricky gervais before i went for the metro home. now i’m watching jo frost making people cry on supernanny for being utterly useless parents. the postman rang the doorbell when i was wearing my huge new wedges, it looked odd answering the door when i’m 6ft2. 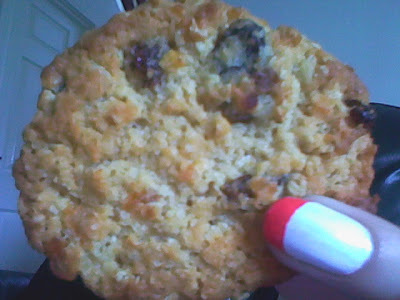 he said ‘another one for you’ which makes me think i order things on the internet too much. i got my topshop java wedges delivered and they’re massive! think i need to get my dad to put another hole in the ankle strap and something over the foot cus they’re hanging off me which is annoying because i love them. i need to start uni work but i have no motivation. and apparently i’m going to manchester next wednesday, i’m totally in it for the krispy kreme doughnuts, mm!